New York’s Dudley thinks interest rates should rise slowly, Philly’s Plosser reckons they should go up faster, and Bullard of St. Louis has crunched numbers implying rates should already be at “normal” levels. Veering off the beaten track has left the Fed uncertain how to return. 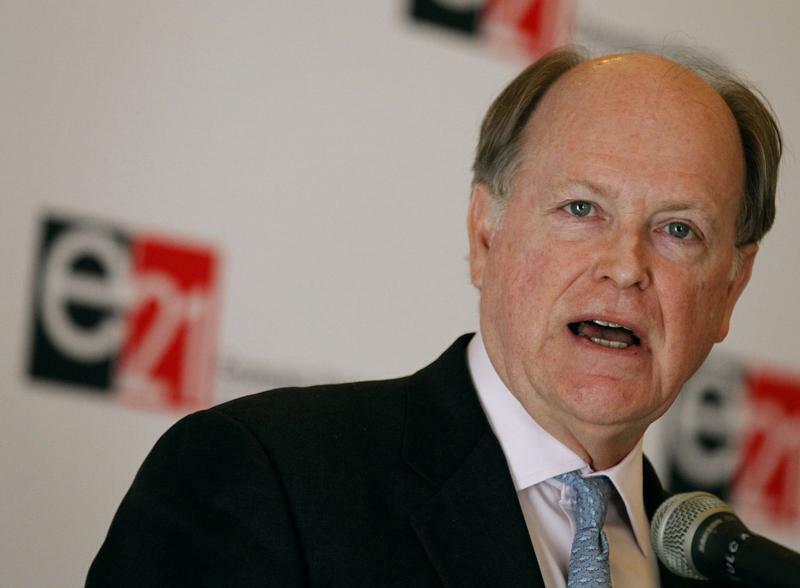 Philadelphia Federal Reserve President Charles Plosser speaks at an Economics21 event in New York, March 25, 2011. St. Louis Federal Reserve President James Bullard on May 16 outlined a mathematical function quantifying the Federal Open Market Committee’s distance from its twin policy goals. The calculation shows the Fed to be increasingly close to meeting its objectives, and closer than for 60 percent of the time since 1960. New York Fed President William Dudley, in a speech on May 20, said that the “lift-off” of interest rates should be slow and delayed well beyond the end of Fed bond purchases, while ending reinvestment of principal repayments on the Fed’s portfolio should be delayed until after lift-off. Philadelphia Fed President Charles Plosser, in a speech on May 20, said that the U.S. economy and housing are both on a firm footing and that rates should rise sooner than many Fed observers expect.